The Law Offices of Kevin A. Ryan specialize in major criminal cases, both state and federal. Mr. Ryan has been practicing criminal law in the Omaha area, and throughout the State of Nebraska, since 1997. 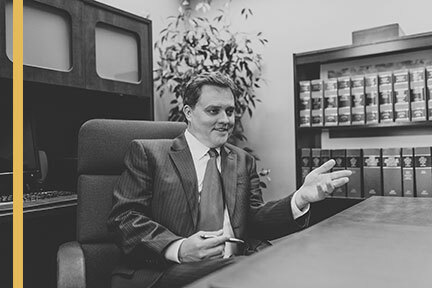 His office has successfully defended clients from the minor crimes of DUI, domestic violence and juvenile offenses, to serious federal drug cases, weapons violations, and first degree murder. He has further achieved successful results in the representation of victims from minor vehicle accidents, to complex wrongful death cases.